Help your congregation develop a deeper understanding of stewardship that goes well beyond the traditional function of supporting the church financially. With this comprehensive manual, you'll learn how to plan and implement a year-round stewardship focus that involves more members in the life of the church community. 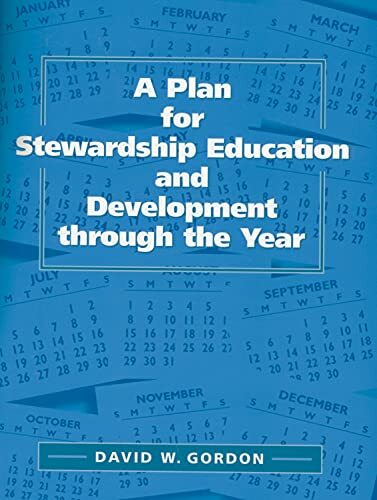 Includes instructions for educating the congregation on the mission and ministry of the church and developing a long-range plan, plus useful tips and resources for organizing stewardship events, and forms for charting progress throughout the year. A "must read" for any congregation that wants to move beyond a once-a-year focus on Christian stewardship. A comprehensive manual for congregations who are ready to consider stewardship as a year-round focus. This manual includes detailed suggestions for organizing committees, educational efforts, and events that make stewardship a way of life, and not just a one-Sunday event.